Here’s Day 14’s ink. 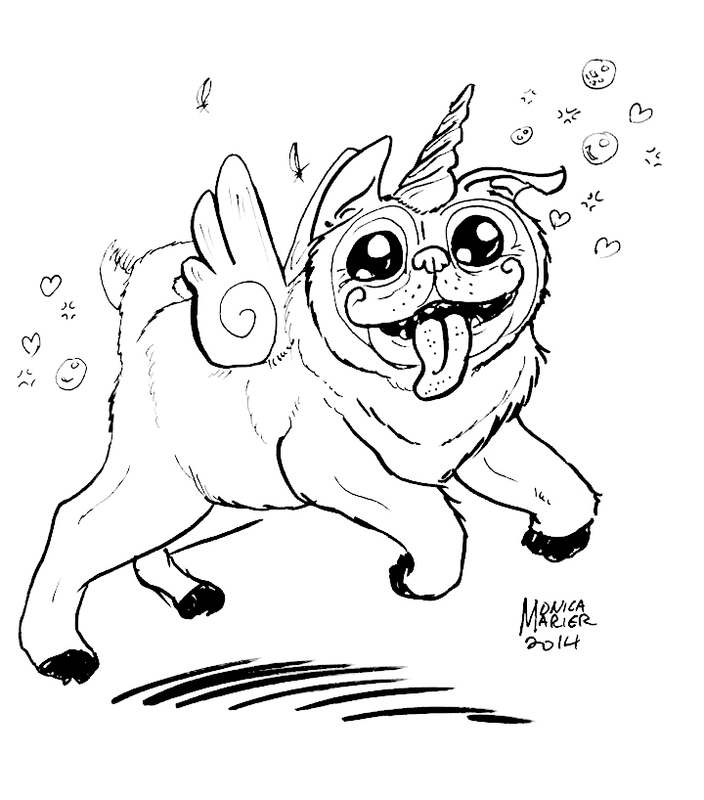 I did a Pugicorn/Pugasus . I just wanted the fun of drawing a pug (one of my FAVORITE dog breeds) running at full tilt. I love how manic their eyes look, I love how their limbs just seem to flap in midair. I love the tongue and the curly tail. This was just plain fun to draw. 🙂 I’ll probably even scan this guy properly and colour him in. Right! See you all tomorrow, lovely people!